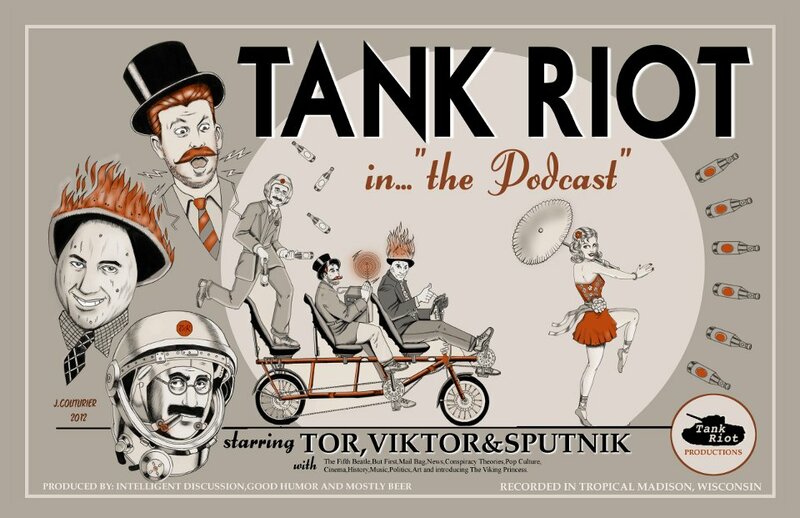 On May 13, 2010 the talented artist Chris Judge sent Tank Riot an e-mail. He explained that he visualised the three tank crew members in a certain way as he listened to the show. One day he put pen to paper or perhaps mouse to mouse pad and recorded that vision for all to see. In response, Tank Riot has decided to publish this page to feature his work and perhaps entice others to do the same. So if you are an artist and have an idea what Tank Riot should look like, send it in and we will add it to this page. 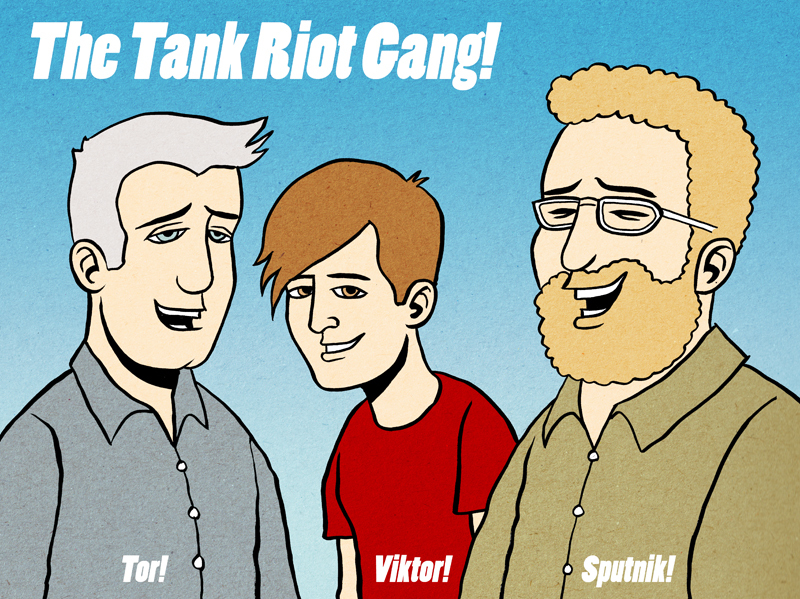 On July 30, 2010 Tariq M. Qubti sent Tank Riot this great drawing! Tariq M. Qubti is a Palestinian living in Jordan. 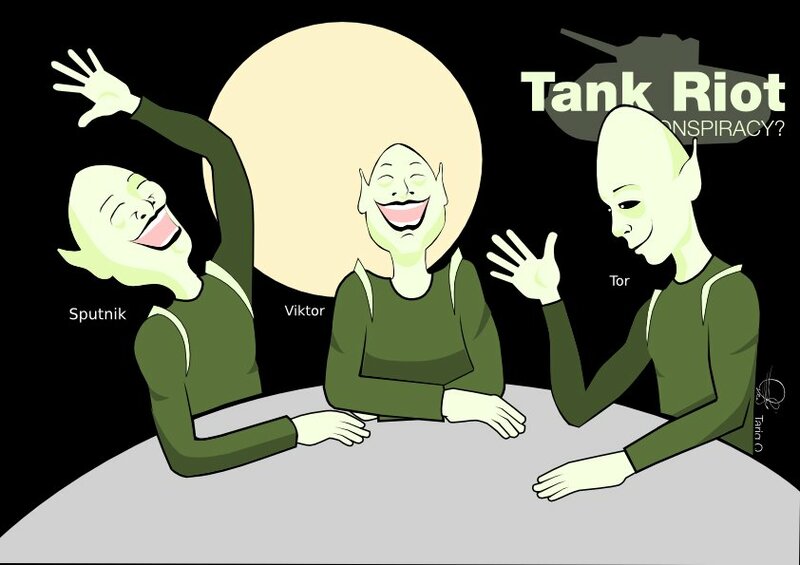 Viktor, Sputnik, and Tor are very honered by that fact that Tank Riot listners can be found across the globe and perhaps the universe! 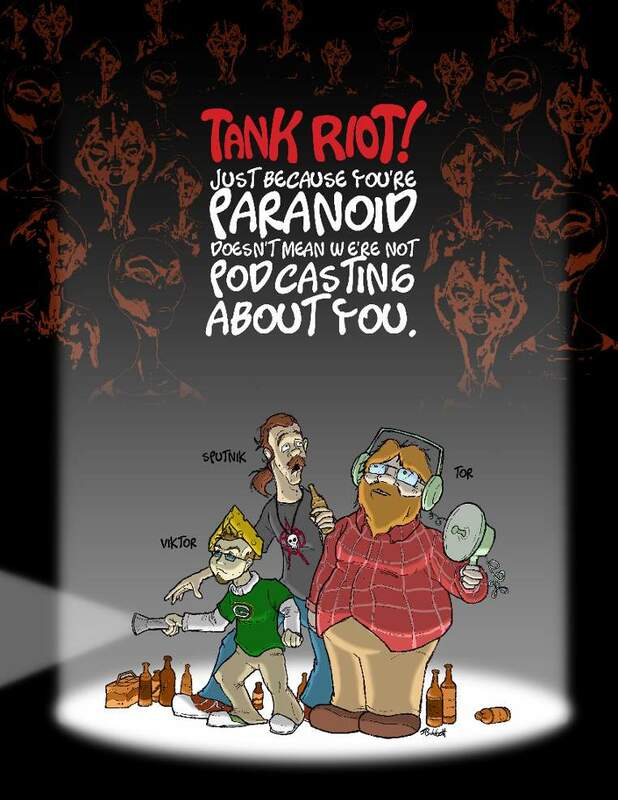 On August 31, 2010 Jeremy Couturier sent Tank Riot this awesome comic book inspired drawing! 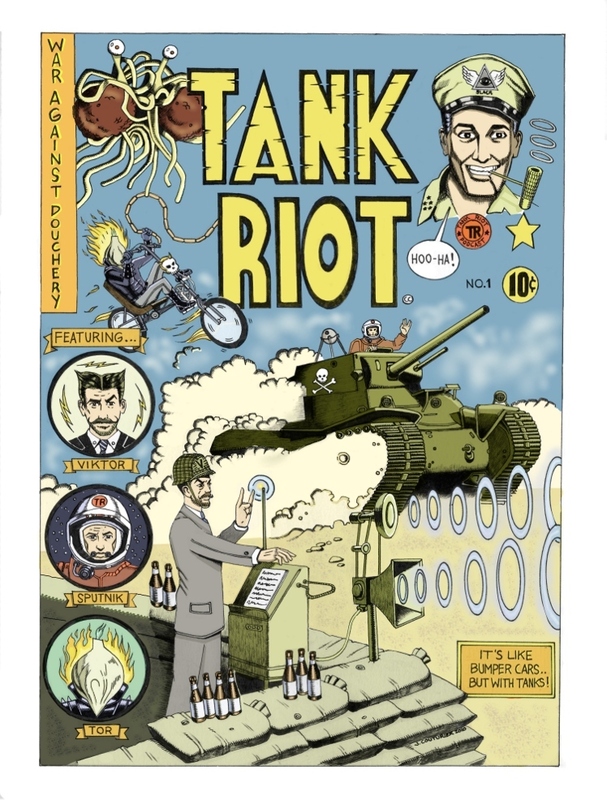 Tank Riot as a comic book, now there is an idea! Items with this drawing are available in the Tank Riot PX Store. Visit Couturier Illustration to see more of his work. We received this great drawing from Powell, The Big Red Penguin on September 17, 2010. He asks, "What part of Brooklyn is Madison, Wisconsin in?" Very hip! Thank you. 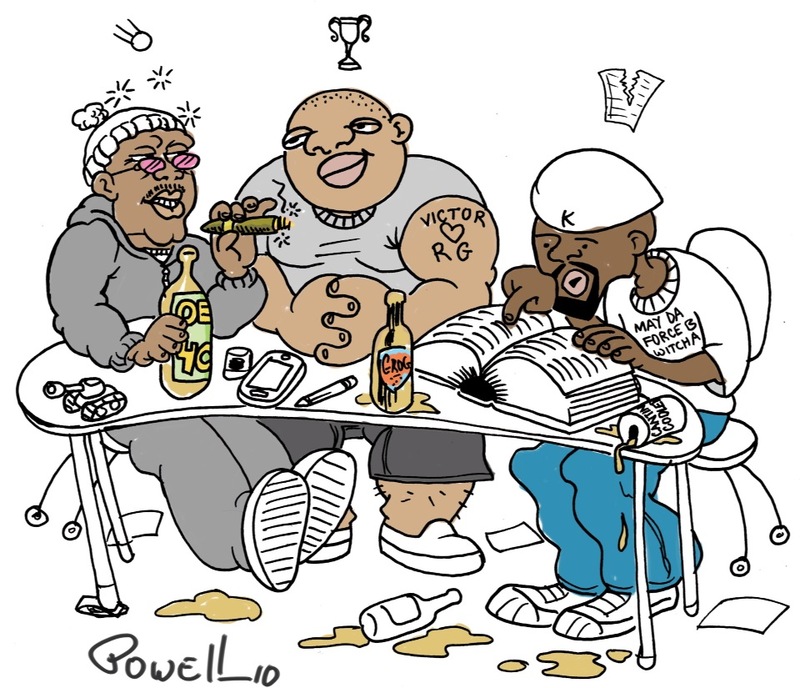 Stephen Bobbett sent us this cool drawing on September 25, 2010. Once again we are so impressed. Thank you. On August 25, 2011 Jeremy Couturier sent in his second submission. 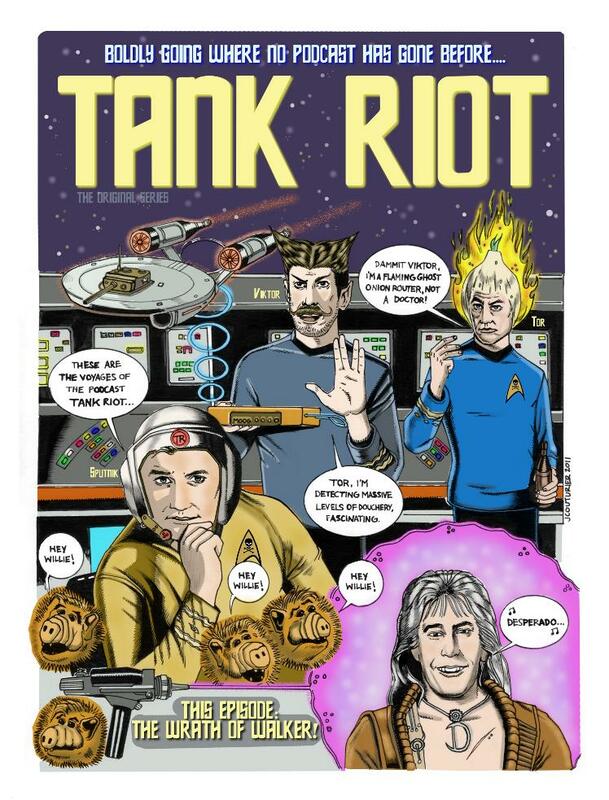 It is another comic book cover but this time with a Star Trek theme and called Tank Riot The Original Series! On September 3, 2012 Jeremy Couturier sent his third submission, this time with a Marx Brothers theme! It is awesome as always!